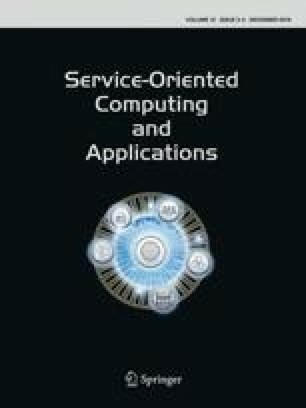 Service-oriented architecture (SOA) has emerged as a dominant architecture for interoperability between applications, by using a weakly coupled model based on the flexibility provided by web services, which has led to a wide range of applications, which is known as cloud computing. On the other hand, multi-agent system (MAS) is widely used in the industry, because it provides an appropriate solution to complex problems, in a proactive and intelligent way. Specifically, intelligent environments (smart city, smart classroom, cyber-physical system, and smart factory) obtain great benefits by using both architectures, because MAS endows intelligence to the environment, while SOA enables users to interact with cloud services, which improve the capabilities of the devices deployed in the environment. Additionally, the fog computing paradigm extends the cloud computing paradigm to be closer to the things that produce and act on the intelligent environment, allowing to deal with issues like mobility, real time, low latency, geo-localization, among other aspects. In this sense, in this article we present a middleware, which not only is capable of allowing MAS and SOA to communicate in a bidirectional and transparent way, but also it uses the fog computing paradigm autonomously, according to the context and to the system load factor. Additionally, we analyze the performance of the incorporation of the fog computing paradigm in our middleware and compare it with other works.